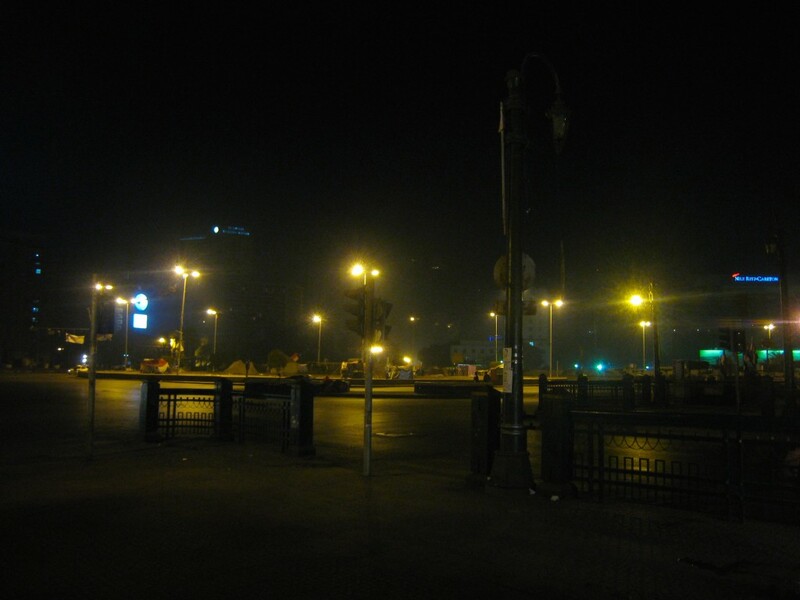 PHOTO: Tahrir Square at 6am, several weeks before the first anniversary of the Egyptian Revolution. Among the many thrills of travel is arriving somewhere new in the early hours of the morning and watching it rumble to life. Few introductions are more befitting of a great city than to see it yawn and move as if it were seeing daylight for the first time. 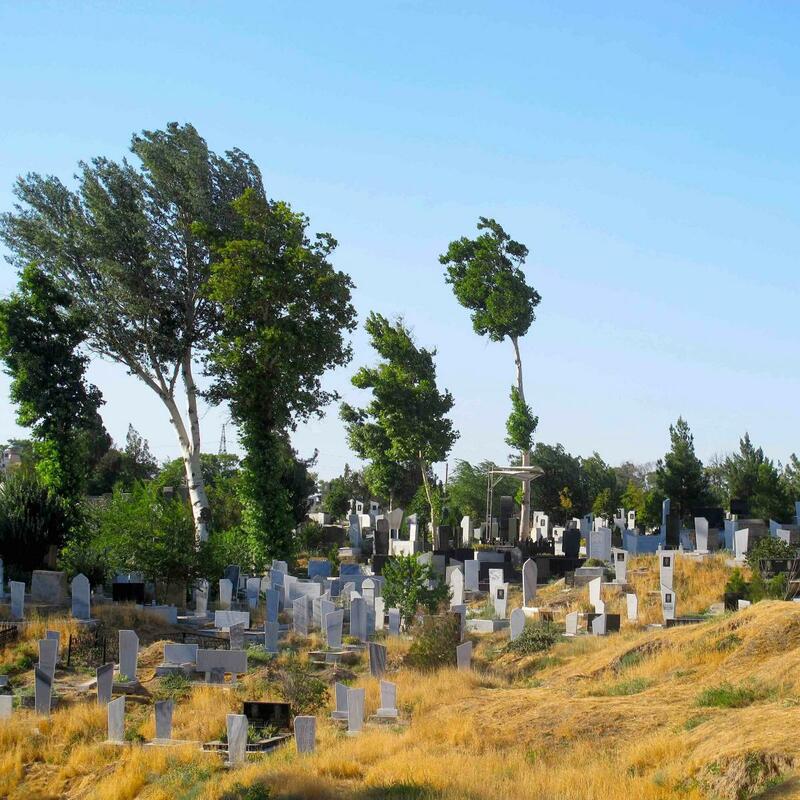 Istanbul, Urfa, Amman—this is how I first experienced those cities—and now Cairo. It was the beginning of a new year and there was a lot in Cairo that was new, even for Cairenes. It was winter and the sun still wasn’t up when I arrived in Cairo. My eyes opened and through the bus window I saw the gray underbelly of an overpass. Outside, a line of jittery taxi drivers waited in the cold. I took up my backpack, climbed down from the bus, and shooing away the taxi men set off on foot. Even at 6am there were people out and about, so I followed a group in toward some bright lights and soon found myself in the large public square so familiar from television. Tents and hand-painted banners sagged under hastily-strung lines, and dozens of people lingered about. Some sat sipping tea, while others stood chatting or wandered about. To a new arrival, the scene in Tahrir Square resembled the early morning hours after a big party. But it was not a party. I was exhausted, so I made a quick pass of the square then walked several blocks north to the address of an old hotel. Pulling back a folding iron gate, I climbed the dirty marble staircase to a small, third floor apartment where a man was slumped over a desk with a lamp. I woke him, explaining that I was looking for a room until morning, and five minutes later I was fast asleep in a dingy, windowless cell decorated only with a sink and a towel rack. It cost me $4 and it was exactly where I wanted to be. 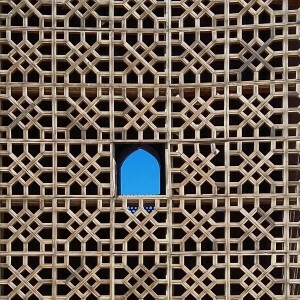 PHOTO: The view from the Bab Zuweila in Islamic Cairo. Cairo is the third of three great cities I always wanted to visit (I passed through Istanbul earlier in the trip; Damascus remained just out of reach due to the conflict in Syria). Like Rome, Istanbul and other cities of its league, Cairo’s history is deep and complex. The region has been important for at least five millennia, since the unification of the upper and lower Nile under King Menes, with its capital at nearby Memphis. 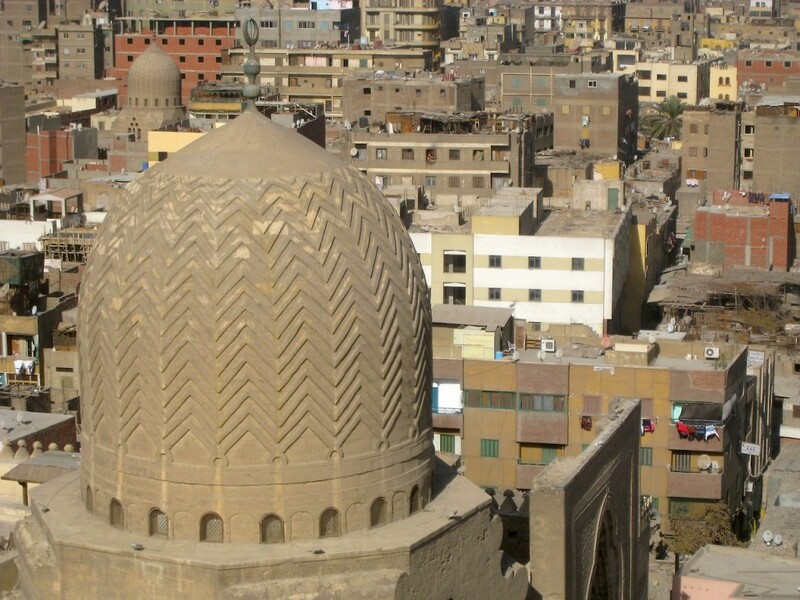 In the fourth century, Cairo’s Coptic “old city” grew up under Roman protection. The 7th century Arab conquests again made the region an important political center, and in the 10th century Al Qahira (“the victorious”) emerged at present-day Cairo. During the 13thand 14th centuries, Cairo became the center of the Islamic world under the Mamluks, and its population of half a million made it one of the largest and most important cities anywhere. In the broad arch of Cairo’s history, however, it has since that point declined hugely in significance. It was January 7 when I arrived, and because I had no plans for the year I was more than happy to spend several weeks exploring all this history. My first stop was the Bab Zuweila, an old city gate in Islamic Cairo, the area of Cairo just east of center where the Fatimid Caliphate was situated while ruling over North Africa in the 11th and 12th centuries. 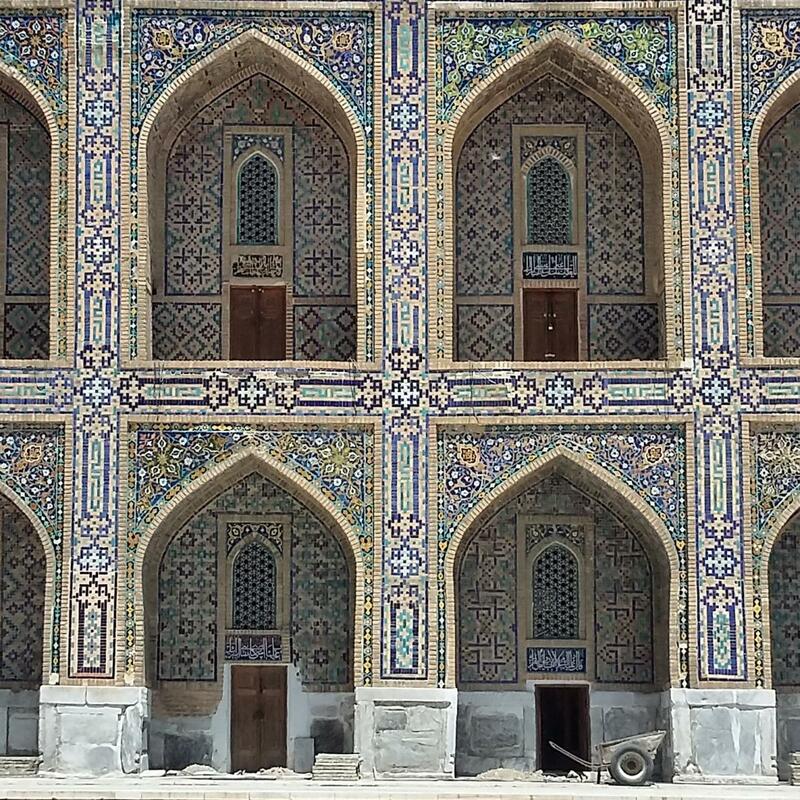 Bab means “gate,” and the structure was once the southern entrance to the immense walled city. Today, the gate’s two towers are still the best place to look out over old Cairo’s fantastic architecture, like the treaded dome of nearby Sultan al-Mu’ayyad Mosque. From there you can walk north through old alleyways, past abutting buildings that, inconceivably, belong to distinct eras separated by hundreds of years, dozens of rulers, and millions of lives. 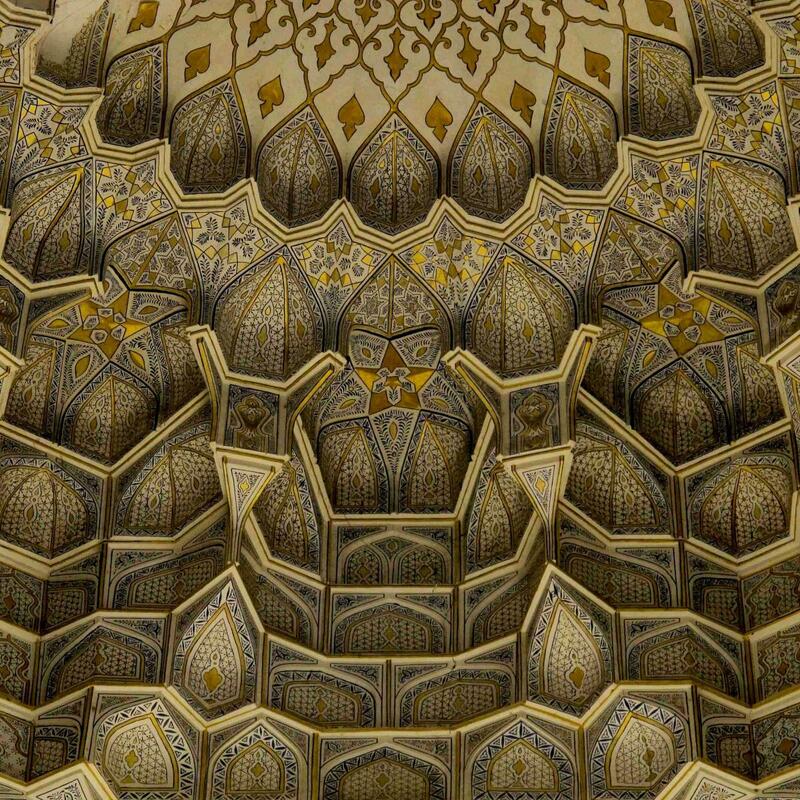 Today the buildings rub elbows: Al-Azhar mosque, Bab an-Nasr and Bab al-Futuh, Beit el-Suhaymi, and the Madrassas Barquq and Qalaun. The depth of history in Cairo is just staggering. 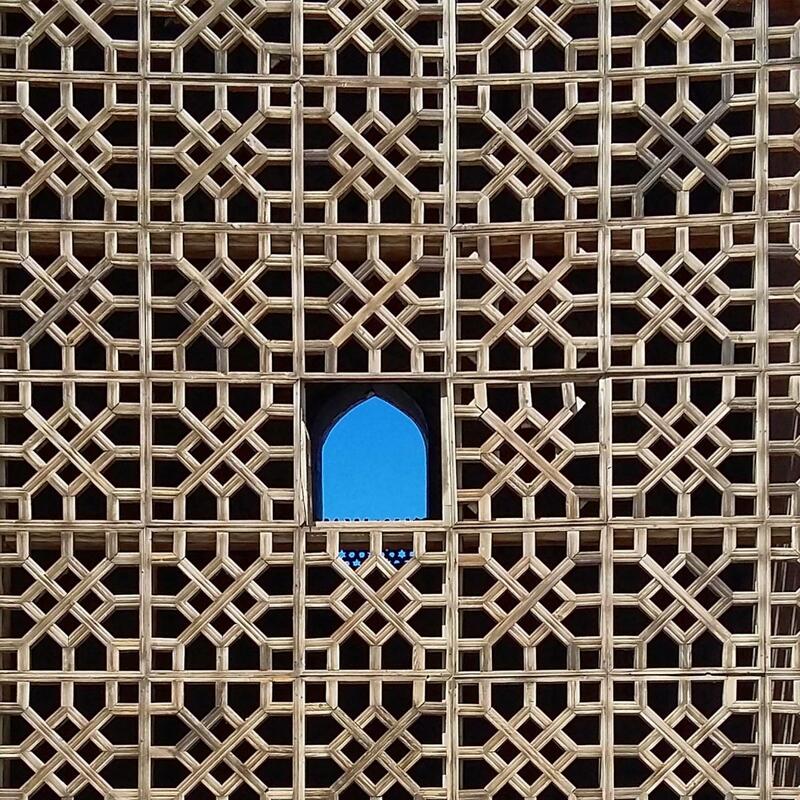 Of all the structures I visited while wandering Cairo, the Ibn Tulun Mosque captured my imagination the most. 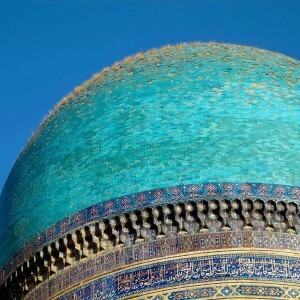 Three kilometers south of center, it dates from the 9th century Abbasid Caliphate in Baghdad. 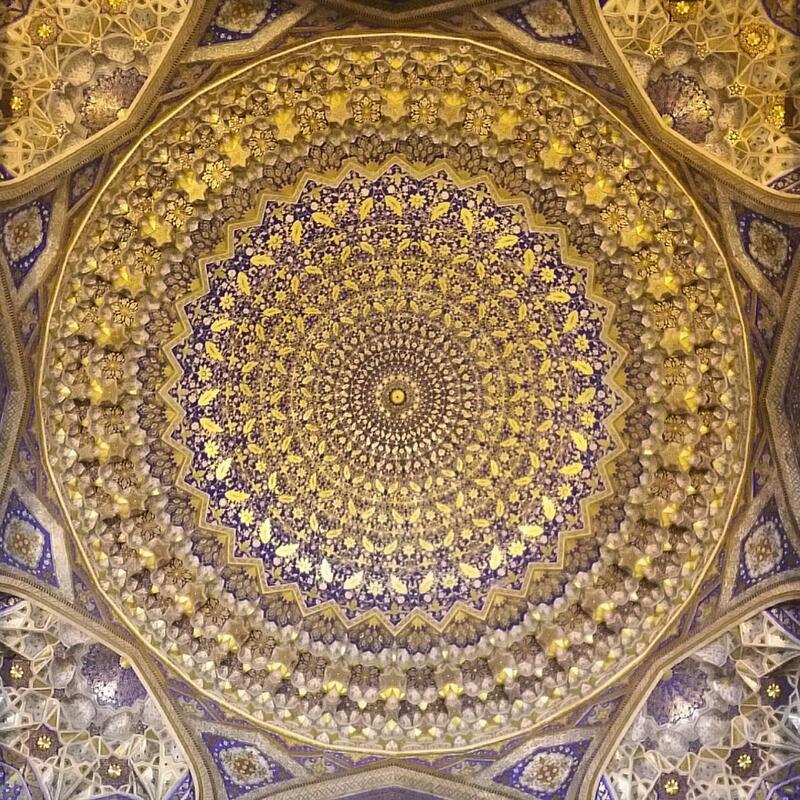 I’d recently traveled within a few hours of Baghdad, and although it felt like a world away now, the Ibn Tulun mosque drew my imagination back to Babylon. It’s Samarian architecture (pictured on Egypt’s five pound note) is what you might imagine as typically “Middle Eastern,” including a tower that spirals upward toward the sky like the mythic Tower of Babel. 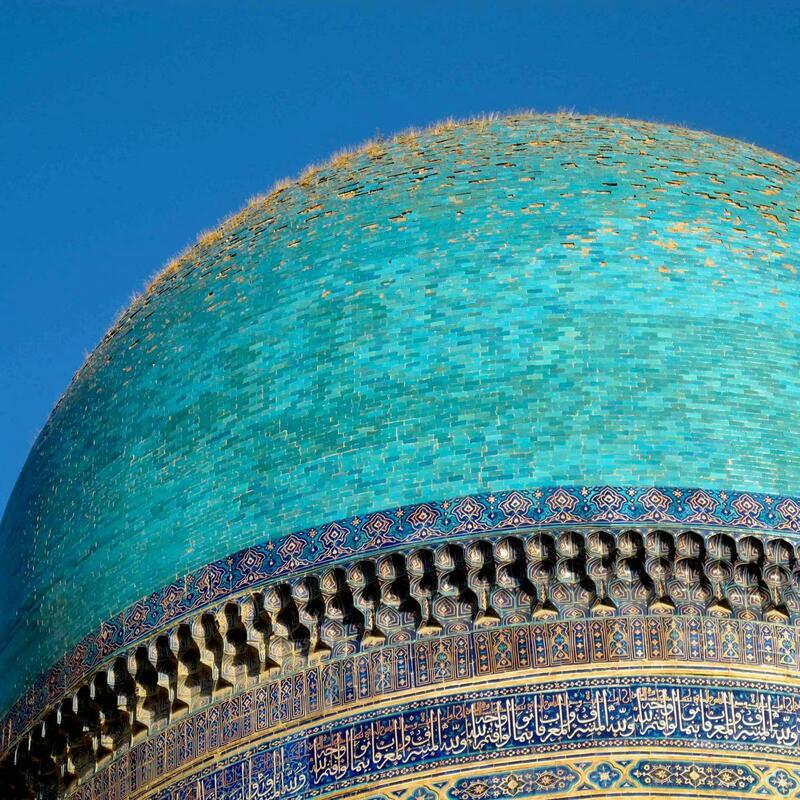 It’s amazing to think the Abbasids could have built structures beautiful so far from home. 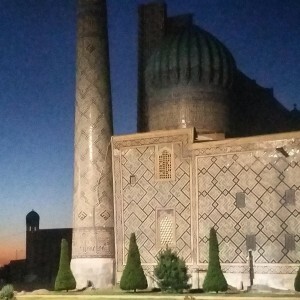 In fact they didn’t—its creator, Ahmad Ibn Tulun, was a local governor who declared his own upstart Tulunid Dynasty, independent of the Abbasids that put him in power. His short-lived caliphate represented the first independent Islamic power in Egypt, to which the mosque is a worthy testament. 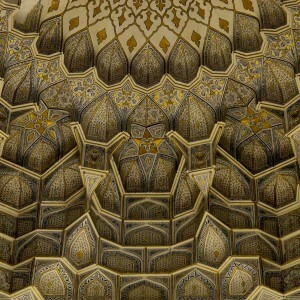 On the mosque’s southeast side—facing Mecca—five rows of carved columns support an immense brown-stone ceiling and create a large, covered prayer space. The columns produce several great aisles running the length of the structure, above which lamps strung from the ceiling sway quietly in the breeze. As I circled the interior, the orange winter sun dipped into the courtyard and the columns cast stark shadows across the aisles. There was not a soul in the place, and I was alone and happy. While in Cairo, I spent my mornings exploring the city and afternoons sitting in Al Fishawe’s café reading a Penguin paperback of Tales from the Thousand and One Nights. When that was finished that I read Naguib Mahfouz’s Arabian Days and Nights, a sequel of sorts written by the Cairo native considered by many to be the first great Arabic-language novelist (also the only Arab to receive a Nobel Prize for Literature). The romantic in me knew that reading these books was the thing to do. In fact I expected to see dozens of tourists reading them in Al Fishawe’s, but there were none. A year after Egypt’s Lotus Revolution, there were still very few tourists in Cairo—not in the Muslim Quarter, not at the Pyramids of Giza, and not in Cairo’s Egyptian Museum with its clan of mummified pharaohs. I relished the privacy, but winced at the damage the troubles were causing Egypt’s economy. 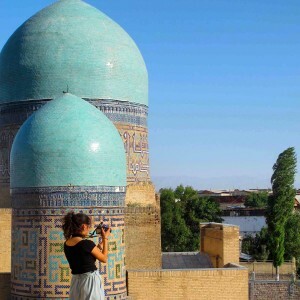 Tourism revenue was sorely lacking, and that doesn’t make having a revolution any easier. I decided to spend some money and stopped by the American University bookstore to buy a map of Egypt and a copy of Alaa Al Aswany’s The Yacubian Building. Then I went back to Al Fishawe’s. 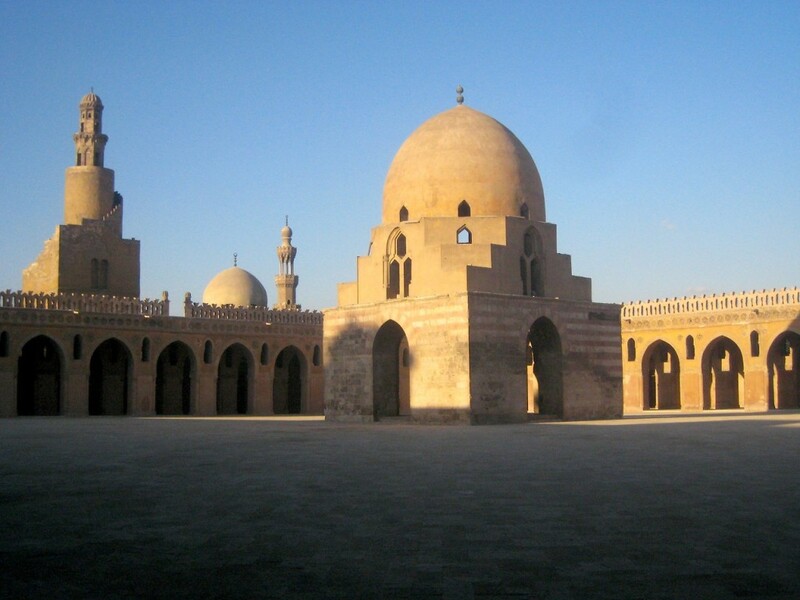 PHOTO: The Samaran-influenced Ibn Tulun Mosque in Cairo. 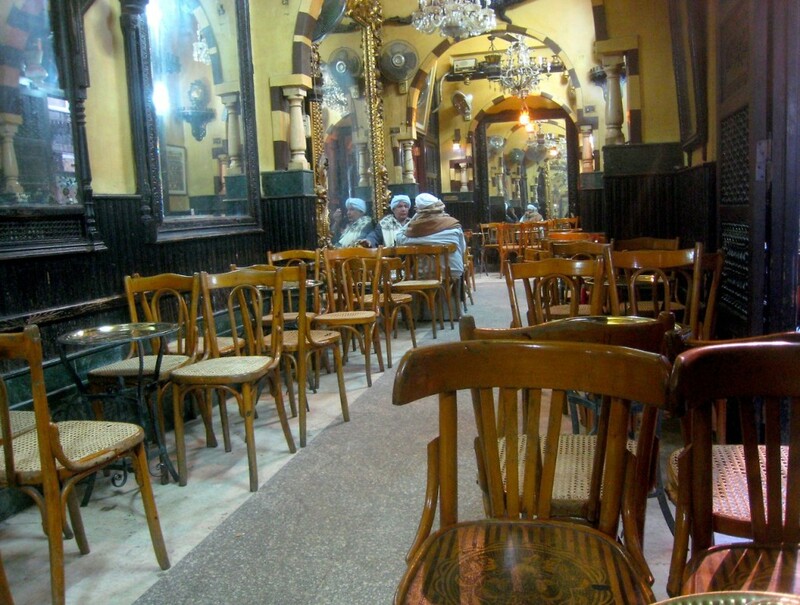 PHOTO: An empty Al Fishawe’s cafe, in Islamic Cairo. One day while returning to my hotel—a place near Tahrir where I could sip coffee on a balcony high above Meret Basha—there was some commotion in the road. One moment I was heading west with foot traffic on El Tahrir, and the next I was walking against traffic, bumping shoulders with people. A wave of pedestrians had turned on their heals and begun moving quickly away from Tahrir Square. Up the road I saw some small, silhouetted objects lofted over the heads of the crowd. People moved faster. Two canons sounded (police canons, which I’d heard several times at large protests elsewhere) and a few people began running. A few more objects flew through the air and I decided to turn back. It was getting dicey near Tahrir, and although it meant going several blocks out of my way, I didn’t want to be part of it. 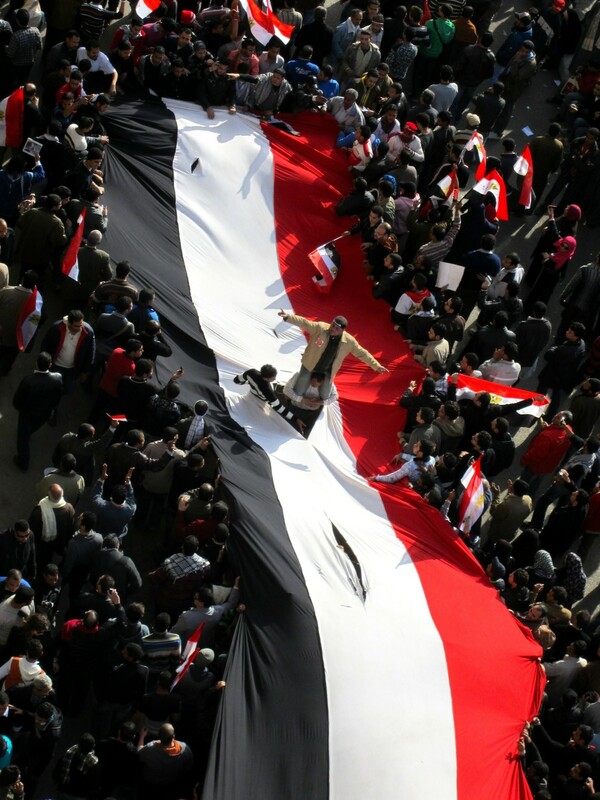 It was nearly January 25, the anniversary of the Egyptian revolution, and there was energy in the air. The first anniversary was approaching and things hadn’t gone quite as anyone hoped. At dinner parties and film screenings, people discussed what had gone wrong and what could set things right. Some camped out constantly in Tahrir Square, others took to marching down Talat Harb occasionally blocking traffic. Shop keepers would frequently stop me in the street to tell me the role they’d played in the early days of the revolution. There seemed to be excitement about the past, but little excitement about the future. While walking down Talat Harb one day I saw a familiar face in the crowd. It was Jeremy, the Canadian who I’d met in Lebanon several months earlier, and who’d gone to Damascus as a freelance journalist. There he was arrested (like Germano, who I wrote about before) during a period when the Syrian government began cracking down on foreign reporters. Jeremy ended up in Cairo, where he freelanced a bit and got to know a sharp young Scot doing reportage there. Together they traveled to post-conflict Libya on media credentials and filed a few stories. They’d just returned for the anniversary of the revolution when we met. Jeremy and Michael took me around Cairo with them, and I met a number of interesting reporters and activists. In fact, there were journalists all over Cairo. Most had left or been pulled after then events of January and February, but many returned for the anniversary. One afternoon in Tahrir, a small gaggle of Egyptian reporters encircled a young man who turned out to be Maikel Nabil Sanad, an activist and blogger jailed for participating in the revolution. 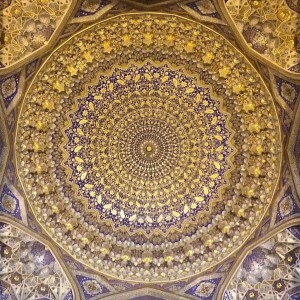 In March of that year Sanad was arrested for insulting the military (at that time quite popular) in an online post entitled, “The People and the Army Were Never One Hand.” Eight months later—after a hunger strike and coma, and about the time I arrived in Cairo—he was released, and the media was hungry to talk to him. Also present was Samira Ibrahim, later named among Time’s 100 most influential people of 2012 for having successfully sued the Egyptian government for performing “virginity tests” on female protesters. We also sat for a long time and spoke with Shahira Amin, the television correspondent who was first to interview the Israeli soldier, Gilad Shalit, after his release in exchange for that of one thousand Palestinian prisoners (see previous West Bank post). Tahrir was a Who’s-Who of relevant figures, and they weren’t on stages or behind megaphones but sitting right there on the ground chatting with people. A hundred meters from Tahrir, yet another graffiti artist was quilting the entire stone blockade that barricaded Mohammad Mahmoud street. It was a colorful patchwork of playful images that reminded me of a Paul Klee painting. Meanwhile, children squeezed through the bottom stones of the barricade, and young men danced along the top shouting down to their friends in Arabic. Cairo was buzzing. 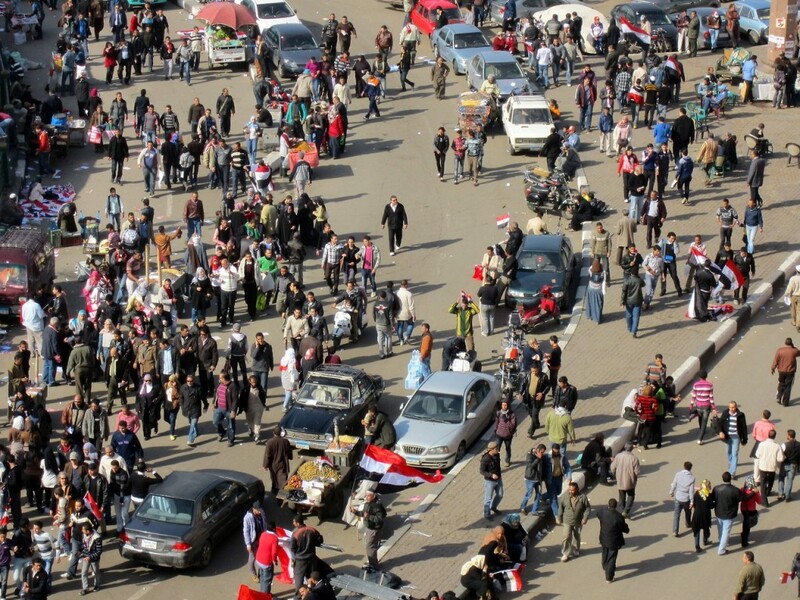 PHOTO: People begin thronging toward Tahrir Square on Jan. 25. The first anniversary of the revolution was a tremendous day. From early morning, hundreds of thousands filled the streets, carrying signs and chanting slogans. All day long a steady parade of people passed beneath my balcony. Occasionally an enormous 30-foot Egyptian flag would float along, carried over the heads of marchers. Out on the street, there was no visible military presence, and plain-clothed members of the Muslim Brotherhood checked identification at crucial street junctions. The mood in the streets was good. As written many times before, disturbances were few, and rather than celebration there seemed to be a thick sense of mourning for Egyptian lives lost over the year. 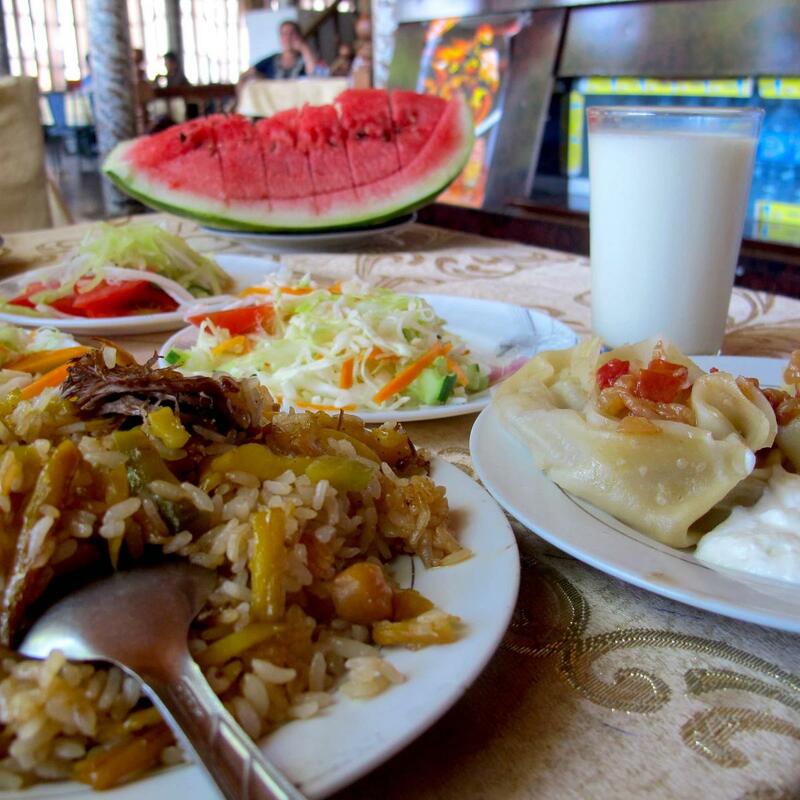 I spent all day in the streets, and by nightfall I found myself still wandering about chatting with people over bowls of delicious kushari (a popular street food of tomato sauce poured over rice, macaroni and lentils). Hours later, I was eating another bowl and listening to yet another Cairene talk of all that had happened in the past year. As much as I wanted to stay and soak up everything that was happening in Cairo, it wasn’t in the cards. I’d met several local activists advocating on water rights issues (which was my own professional background), and having been on the road for some time there was a certain urge to stick around and learn something. There was the typical organizer inclination to dive in headfirst, but it was impossible. As a foreigner with no Arabic, I brought nothing to the table. I might have stuck around as a freelance journalist—one of many—but it didn’t pay well and there was no guarantee there’d be an appetite for stories once the anniversary passed. Besides, writing didn’t appeal to me, and I figured I wasn’t very good at it anyway. More importantly, I had to remind myself that this was not a time to stay put and work. Yes, I wanted to stay and play some part in things, but the nature of my trip was to keep moving. The whole point was to go east, to see what I could along the way, and that meant continuing to move. If I stopped now I would betray the purpose of the trip. 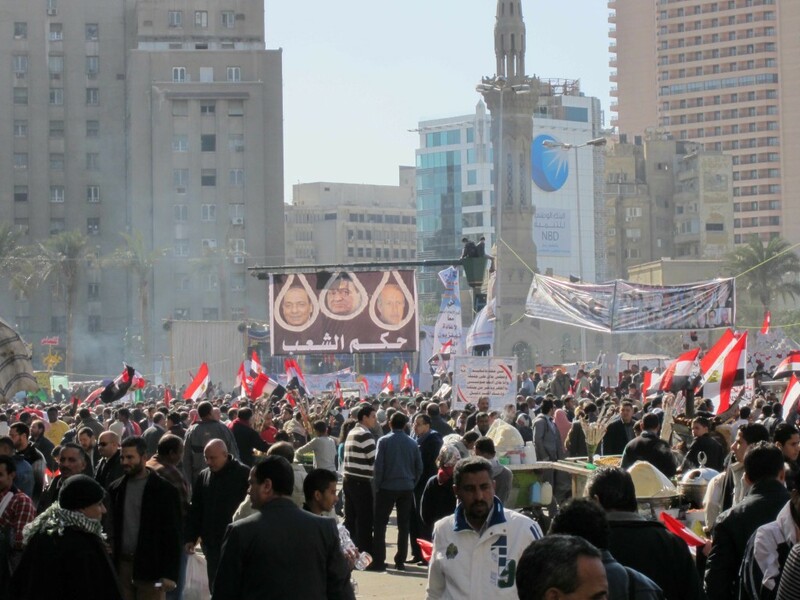 PHOTO: The scene in Tahrir Square on January 25. From my home in France, I’d gone as far east as Iraq and Armenia, even touching noses with Iran, before turning south through the Levant toward Egypt. I wasn’t above backtracking, but at this point it was too cold to try crossing Central Asia, and entering Iran would be difficult or impossible. I felt more than a little regretful about having to take a flight, but if I was heading east the next stop was going to be South Asia. It was a new year and the halfway point of my trip eastward. I dropped off my passport at the Indian embassy in Cairo, in order to pick it up in a few weeks and leave the Middle East. But in the meantime I was going into the Egyptian desert. Waking up early really makes those photos, wow. 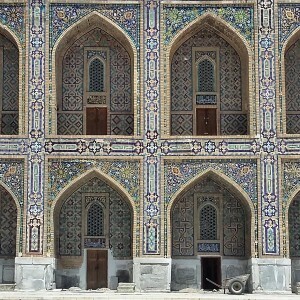 Excellent stuff, and your central asia posts are real educational. Goood information. Lucky me I came across your site by chance (stumbleupon). I’ve book marked itt for later! Thanks. Wish I could take credit for the fast-loading too, but that’s courtesy of DreamHost.